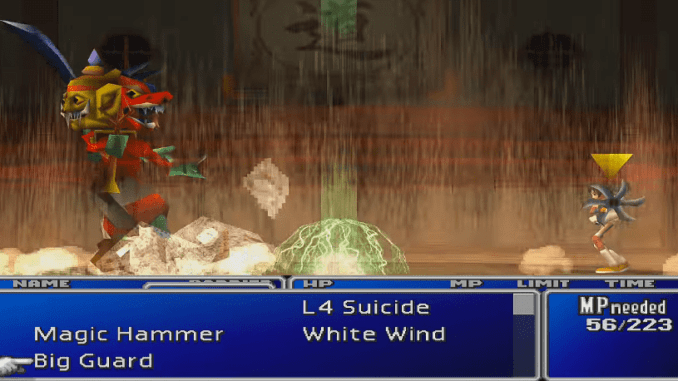 A boss guide for Godo in Final Fantasy (VII,) including boss stats, attacks, and strategies on defeating it. 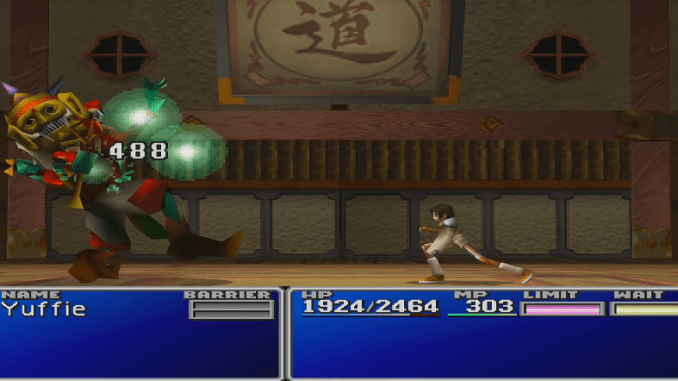 Deals physical damage to Yuffie. Godo’s primary attack. 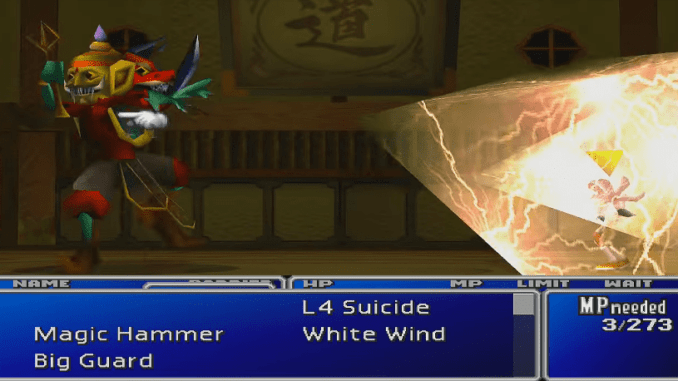 Deals damage equal to 75% of Yuffie’s current HP. Godo casts multiple lightning bolts that form triangles. Deals lightning-based magic damage. When Godo is slow on HP, he will cast Cure2 to replenish his health. The last fight is the most challenging of all. You need to have Elemental + Gravity and Elemental + Poison equipped in linked slots of your armor to stand a chance against the boss. 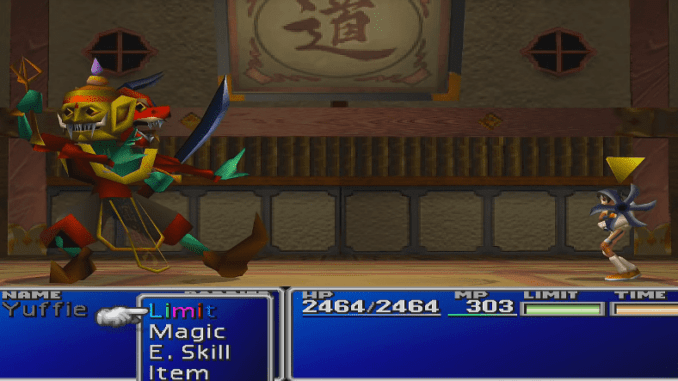 You should also equip a Ribbon or Dragon Armlet. 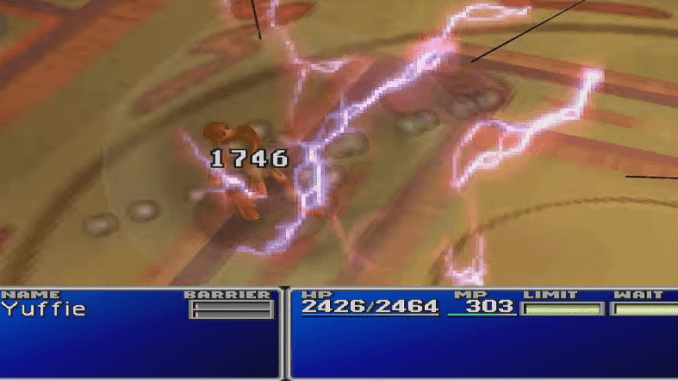 The boss will unload various powerful magic attacks like Bio2, Emi3 Trine, and Mini on you. As such, you will need to have various elemental defenses at the ready. When the battle begins, set up Barrier. Use Haste on yourself and Slow on Godo. Have your heal at the ready throughout the fight as Godo will hit hard. The battle will mostly be about cycling Barrier, Haste and Slow, and attacking. Poisoning Godo also works well to stack even more damage. Godo will eventually use Cure2 when low on HP. Work around this by using Reflect on Godo to reflect the healing onto you.